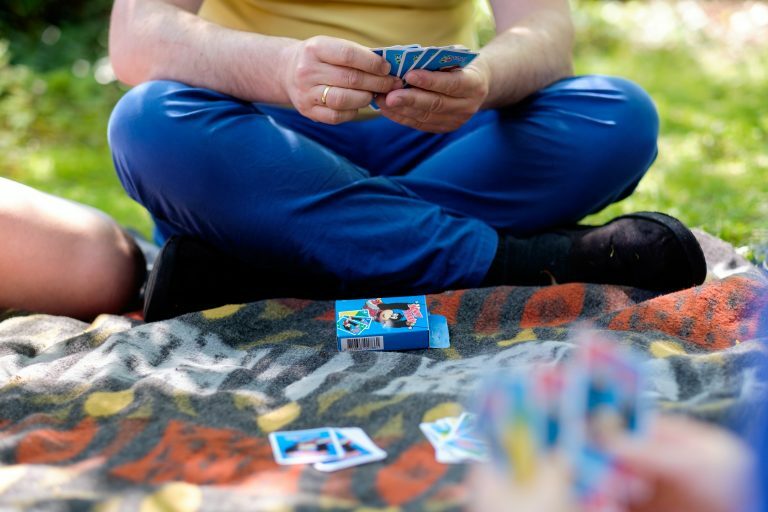 Danish holiday resort and aquadome branded in a classic Assano card game… a match made in heaven. Read all about the making of this fun brand campaign. If you are German or Scandinavian, you might be familiar with the game of Assano. Assano is a fun game to play for people of all ages. The game is all about matching colours and numbers, and a few extra action cards make for a very exciting and dynamic experience. It comes in a lightweight tuckbox with a beautiful, colourful design. It is a classic experience. 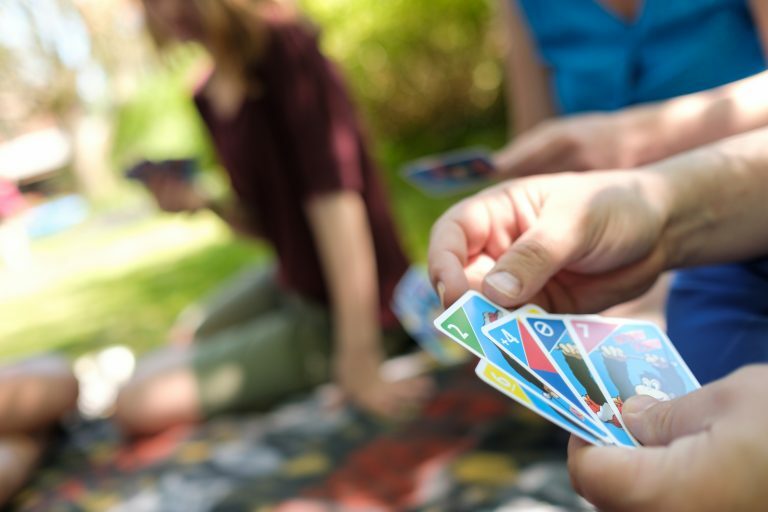 All you need is that handful of cards, a couple of friends, and off you go. Some people would play this game for hours. So when Lalandia got in touch with us to produce their own version of Assano, it sounded like music to our ears. What we had here was two very popular brands of pure fun and joy coming together: a Danish holiday resort and aquadome branded in a classic Assano card game… What could go wrong? Exactly, nothing really. This was a great campaign in the making. What we do in cases like this is we put our creative designers and production experts in a room with the client. Together we look at options, to not leave the table before we have something that feels like a potential winner. Lalandia and Cartamundi turned out to be a perfect match and the collaboration was fruitful. Maybe it has something to do with our mutual core business: making sure people of all ages can have a fun and unforgetable time together. When choosing a gaming product to promote your own brand, it is essential to understand the power and experience of a game. Assano is instant fun, it is a fast and very easy to learn game. You can play it anywhere, anytime. So that is why both parties here felt Assano would resonate perfectly with the Lalandia brand. That’s why we went for it. The result of our joint effort was a pretty straightforward Assano gaming product. A colourful, sparkling product that would stand out in their shop. And it certainly does. If you are spending a fantastic 4 day break at Lalandia, don’t forget to check it out. Stop by their shop and collect the one game that will make your joyful weekend even better. 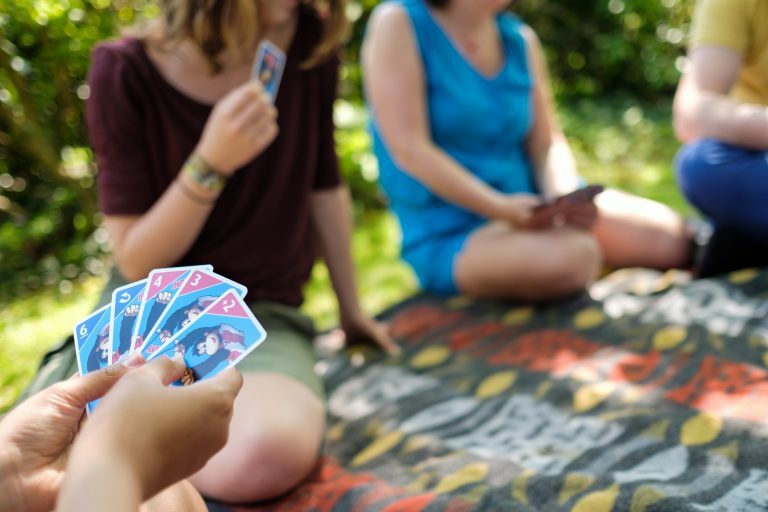 Are you interested in having your own personalised card game, contact us!